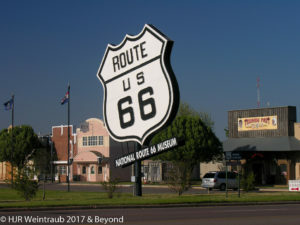 Check out the Route 66 Gallery !! Click Title (above) to view comments or to leave one. The Route 66 Gallery is almost done! I am still working through my New Mexico images, but the other states are available for viewing or purchase. These photos have been taken over a number of years, as I have yet to drive the entire Mother Road in one trip. The photos in each state are organized from East to West, starting in Chicago and ending in Santa Monica. Some additional cities and attractions that are technically off the Route are also included, providing a more regional view of the Route. Have fun “traveling” what is left of Route 66. © 2015 - 2018 HJR Weintraub, all rights reserved.